When it comes to choosing the right roller blinds to provide shade for your alfresco area, ABC Blinds have got you covered. Made and manufactured right here in Perth, our outdoor blinds and awnings have been designed with local homes in mind. With weather as glorious, yet unpredictable as ours, investing in outdoor roller blinds to protect your alfresco area is important. Not only do outdoor blinds and awnings add beauty to any building, they also act as garden blinds, meaning that you’ll have a sheltered and private outdoor patio or porch area that has an extra layer of security. Plus, when you shop with a local, family-owned company like ABC Blinds, you can get roll up blinds for an affordable price. Premium quality for an affordable price. Durable material with a natural look. Venetian blinds are a classic window covering that never goes out of style. Renowned for their versatility and durability, these blinds are very affordable, replicating the look of classic shutters, but for a more budget-friendly price. Here at ABC Blinds, we have three main styles of Venetians available that can be custom-made to suit your home: Timber Venetians, Timber-Look Venetians and Aluminium Venetians. All are great for filtering light during the day and maintaining your privacy at night, with their own unique features and benefits. Why buy Timber Venetian Blinds? At ABC Blinds, we offer a range of different timber and timber-look products to suit different styles and budgets. If you love the look of timber but have a restricted budget, Woodlux is a great composite product that’s 60% timber and 40% PVC. This gives you the look of real timber at a fraction of the price. We also offer 100% Timber-Look Venetian blinds, which bring a sense of warmth to bedrooms and living areas around the home. With its timeless style, natural appearance and superb insulation qualities, timber blinds are a popular choice for Australian homes. Why buy Aluminium Venetian Blinds? Aluminium Venetians are also a very popular choice around the home, thanks to the water-resistant, durable nature of aluminium. These budget-friendly blinds are well-suited to all areas of the home and office, including bedrooms, living areas and wet rooms. One of the great features of these blinds is that they are available in a range of modern, bright colours to boost your interior, or in understated neutral shades to suit any décor. Cleaning these blinds is an absolute breeze. All you have to do to keep these low-maintenance blinds looking tidy is occasionally wipe them over with a dry or damp cloth, or run the duster over them from time to time. It’s as easy as that! 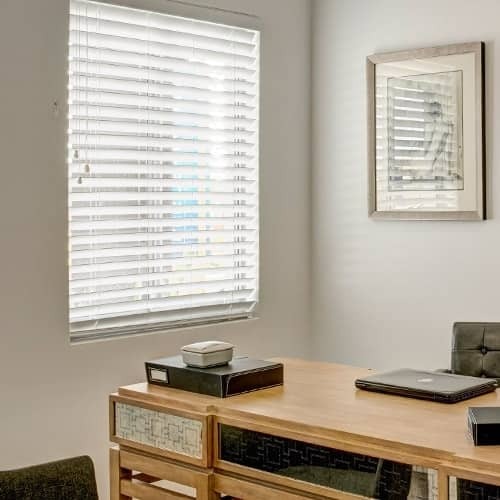 Where can I get Venetian Blinds in Perth? 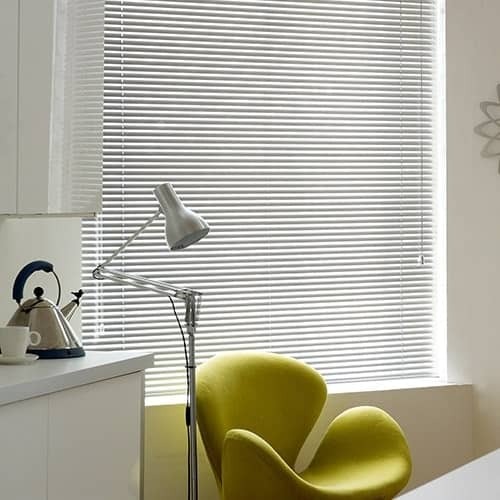 To transform your home with these stylish blinds, contact the experts at ABC Blinds to get a free measure and quote. All ABC products are all custom-made locally in our WA factory and are covered by a 2-year warranty.